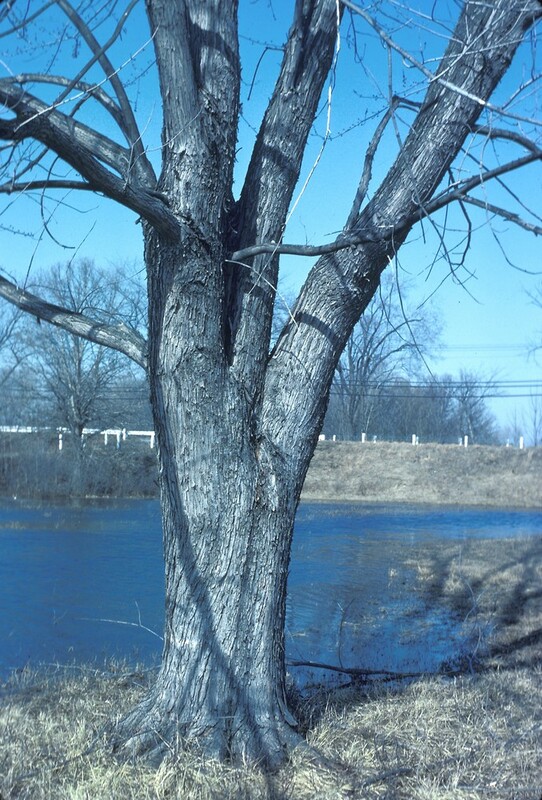 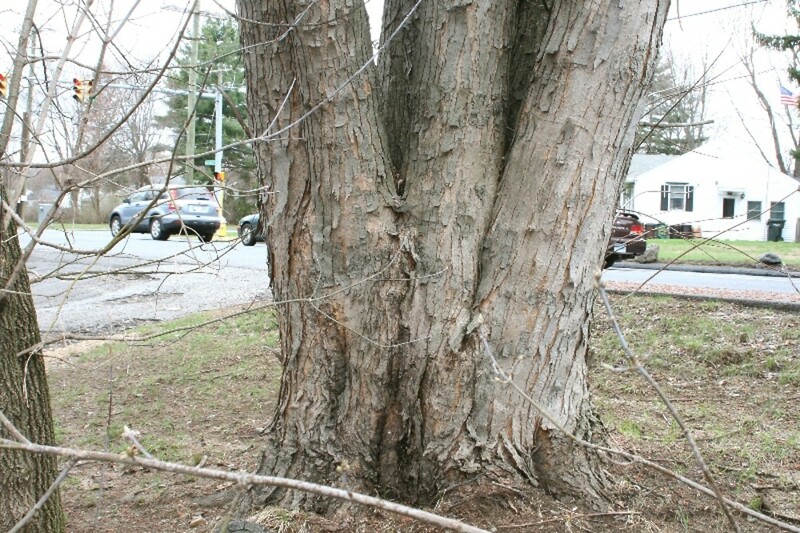 Silver maple most commonly grows in river floodplains, and although the tree is not necessarily tall, the trunk can get very large in diameter. 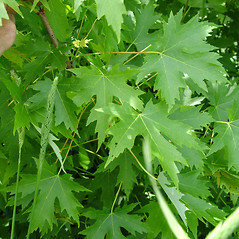 The undersides of the deeply toothed leaves are silvery, in contrast to the shiny green upper surfaces. 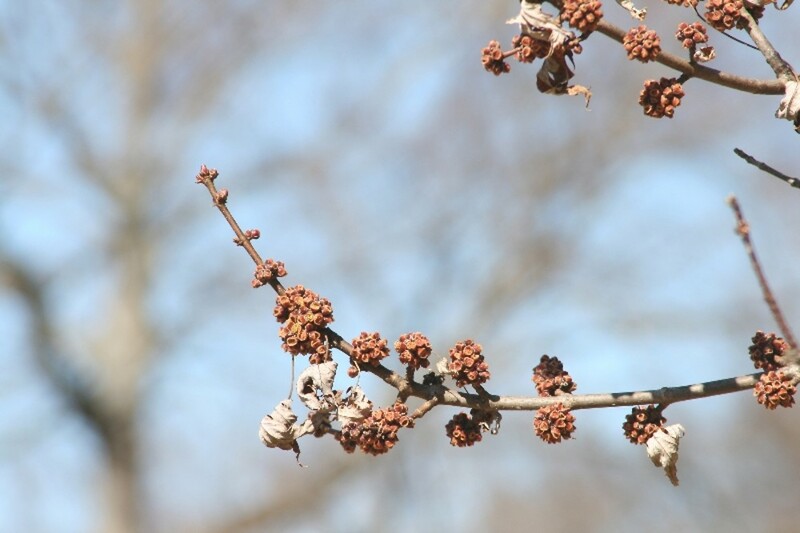 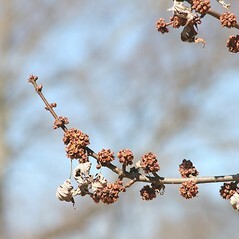 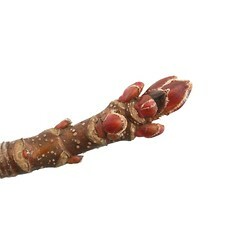 Beaver and other mammals take advantage of the buds as food, which break very early in spring compared to other maples. 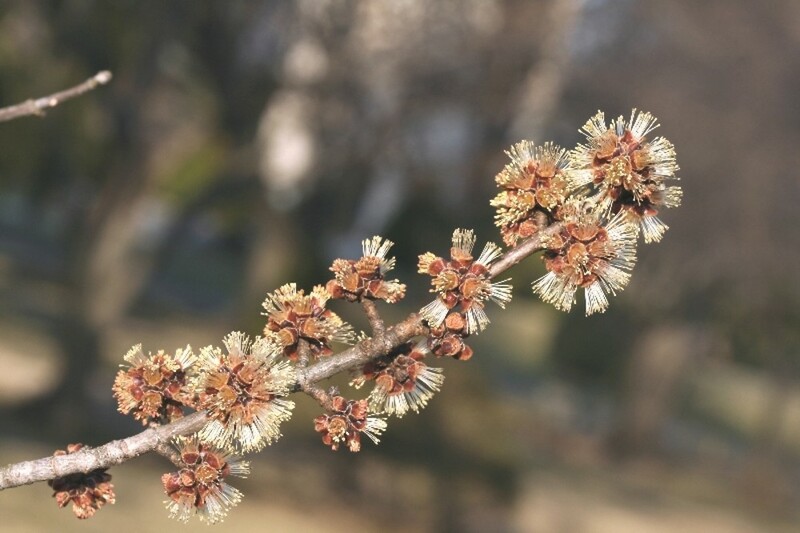 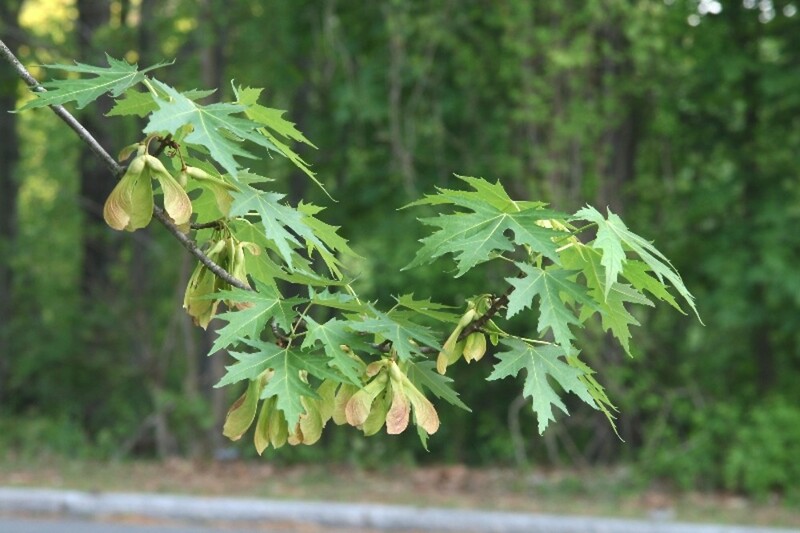 Its silvery leaves make it an attractive choice for ornamental planting, but the tree can be subject to many pests. 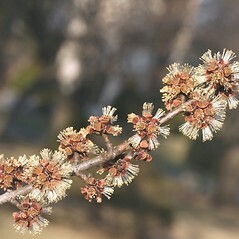 leaf blades with teeth distributed over the entire margin and fruit without hairs over the seed (vs. A. saccharinum, with leaf blades with teeth mainly concentrated on the upper half of the lobes and fruit hairy over the seed). 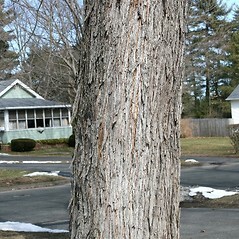 silver maple. 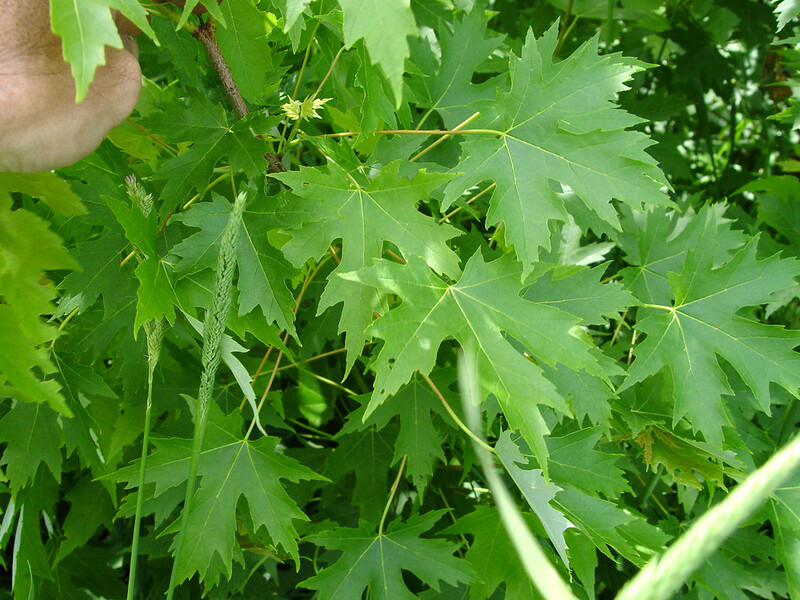 Acer dasycarpum Ehrh. 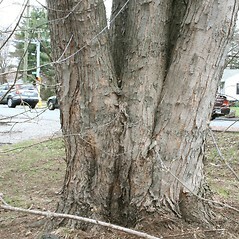 ; A. saccharinum L. var. 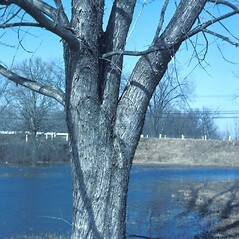 laciniatum Pax; Argentacer saccharinum (L.) Small • CT, MA, ME, NH, RI, VT. Riparian forests, lacustrine flood plains, swamps. 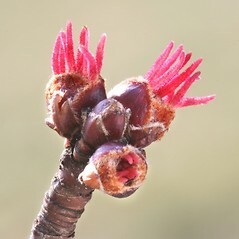 9×10. 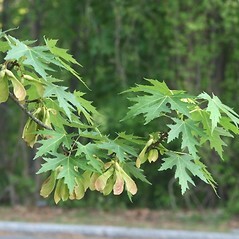 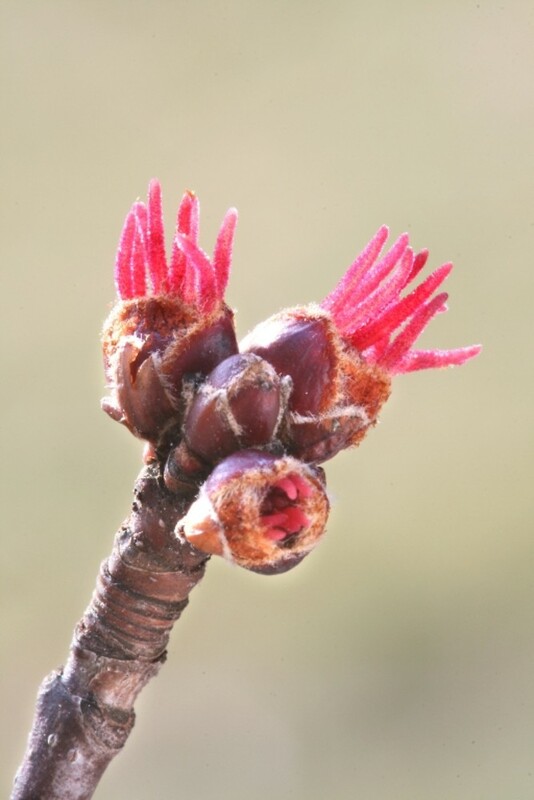 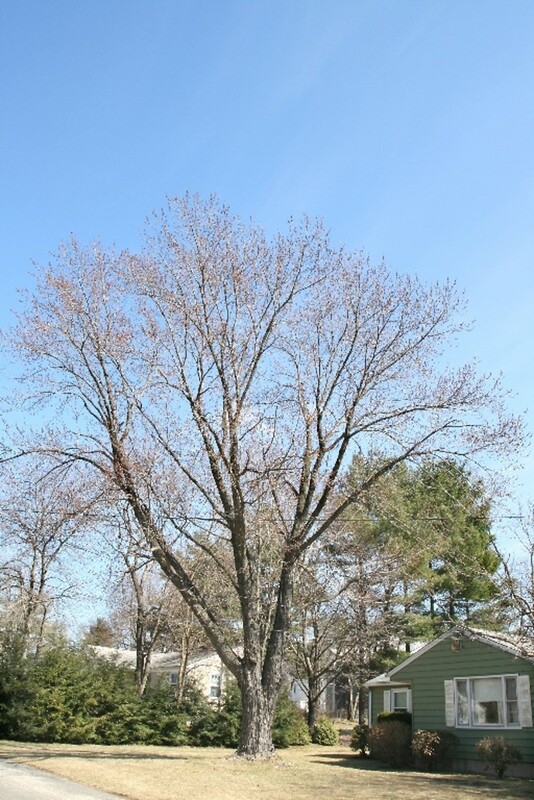 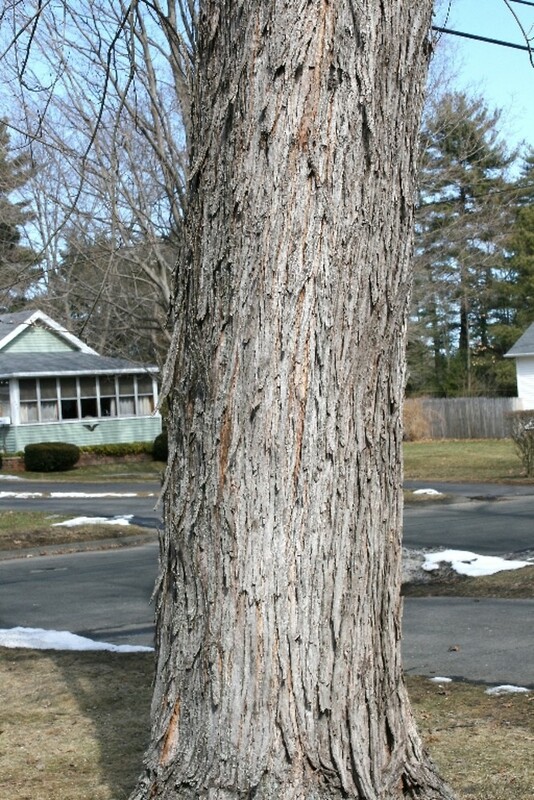 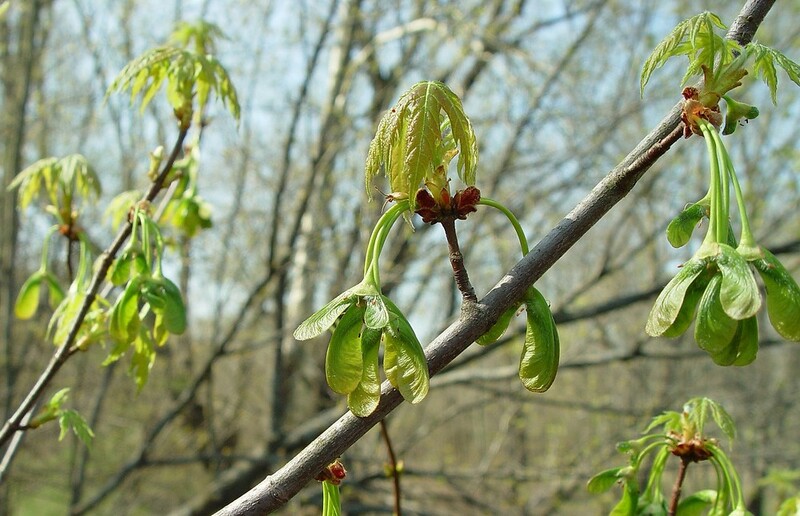 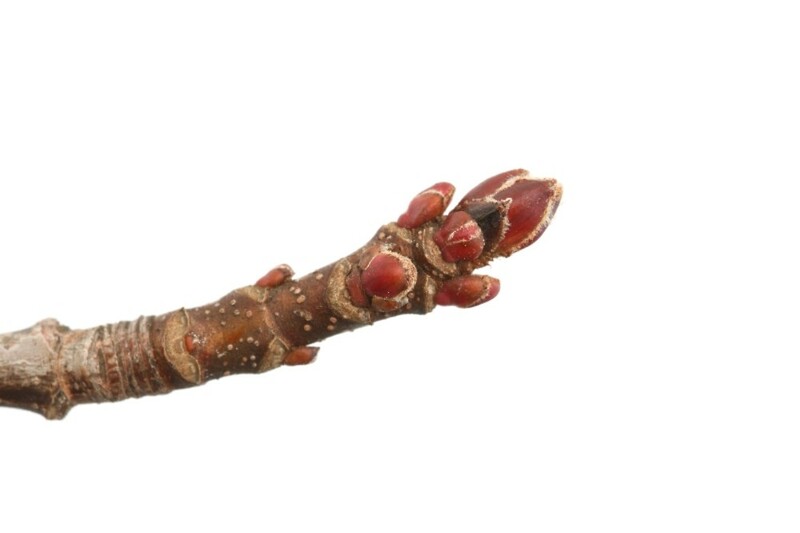 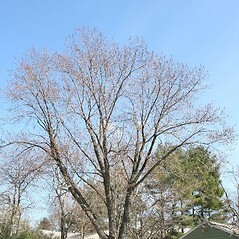 Acer rubrum × Acer saccharinum → Acer ×‌freemanii Murray is a rare maple hybrid known from MA, ME, NH, VT. 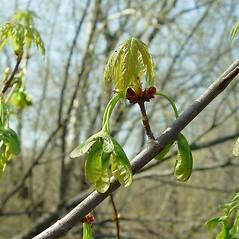 The leaf blades are similar to A. saccharinum but have V-shaped sinuses, a shorter central lobe, and teeth distributed over the apical 50–75% of the lobes.